We don’t mean to state the obvious, but as a general rule, Autumn is colder than Summer. And when that cold weather comes around there’s only one thing that separates you from certain death — a jacket. But with great jackets comes great responsibility, so we thought we’d give you a helping hand. Basically, all we’ve done is pick a few jackets, taken some nice pictures and written a sentence or two about it, but if it helps you some way towards the quest for outerwear utopia, then our work here is done. First up we’ve got a particularly good bomber jacket from A.P.C. It may seem a bit less substantial than some jackets, but as its wool it’s a fair bit warmer than it looks. Other strong contenders in the bomber category include Engineered Garments and their MA-1 flight jackets, or Folk’s military/knitwear fusion pieces. Mackinaw jackets first came about in the early 20th century, and were designed to be worn by people known as ‘timber cruisers’. Nothing to do with cottaging, these are the people who wander around woodland and work out how much all the timber is worth. Made from thick, near waterproof wool, these are good for far more than just skulking around in the woods. 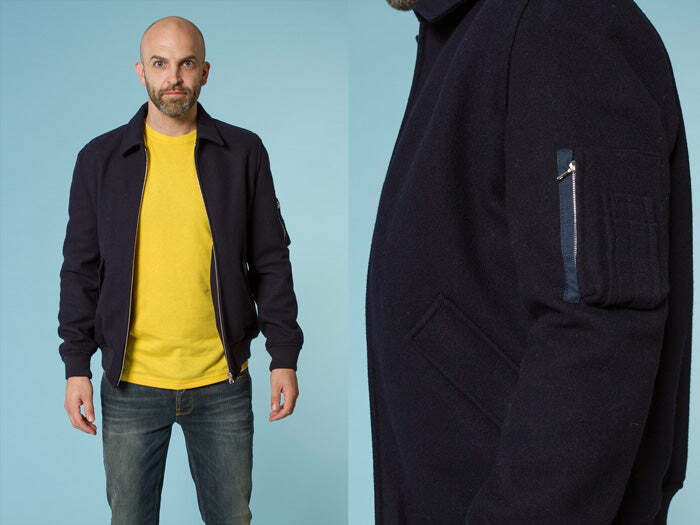 This one here is a slightly lighter, more everyday version of this classic shape from Beams Plus, but if you’re after the definitive cruiser jacket (and who isn’t?) 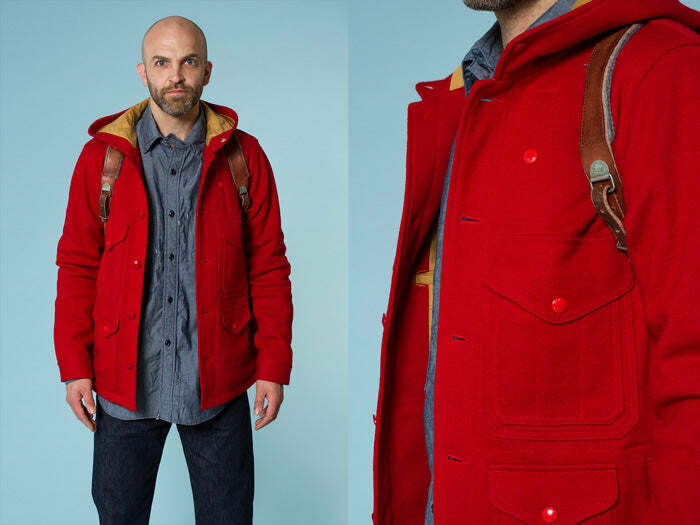 then look no further than Filson. 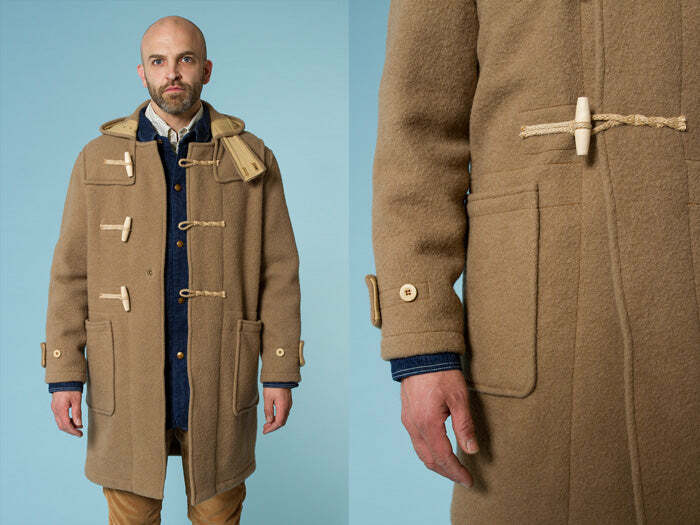 Designed with the rigours of naval life in mind, Duffle coats are both warm and wind-proof. More importantly, they’re also the jacket of choice for everyone’s favourite Peruvian bear. Gloverall may be synonymous with this sort of coat, but that doesn’t mean there aren’t a few other outfits conjuring up great duffles. Armor-Lux make some great slimmed down versions, and if you’re after something that’ll really get those periscopes turning, Stone Island’s duffle coats are just the thing. Next we’ve got the sharp stylings of a mac. Sleek, slick, smart, subtle… these things seem to be everything that begins with the letter ‘S’. They’re also great if you’re into exposing yourself on motorway bridges, but the less said about that the better. This one here is from A.P.C. but, perhaps unsurprisingly, Mackintosh do a good line in this sort of thing. 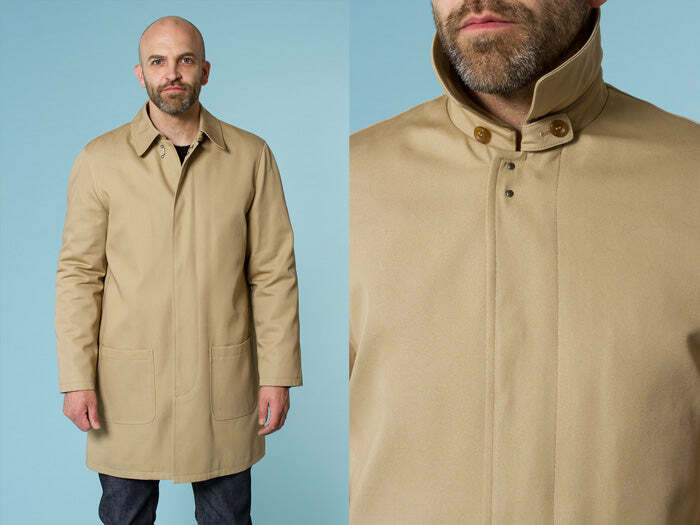 And if you’re after something with a bit more of a cyber edge, Nanamica and Beams Plus both make future-macs out of complicated waterproof fabrics we can’t pronounce. On an unrelated subject, is that Michael Stipe’s chin making an appearance in the photo on the right? 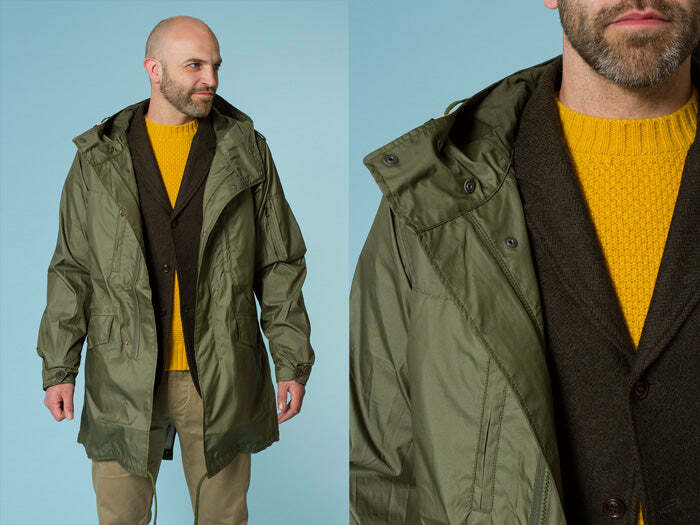 This fishtail parka from Nanamica may look like an ordinary fishtail parka, but thanks to the use of a lightweight super-fabric, it most certainly is not. Some may have noticed the use of another jacket here (it’s a C.P. Company Blazer by the way), which brings us to a very important point — you can never wear enough jackets. Our record is eight at the same time, but we’re hoping to break into double figures this winter. 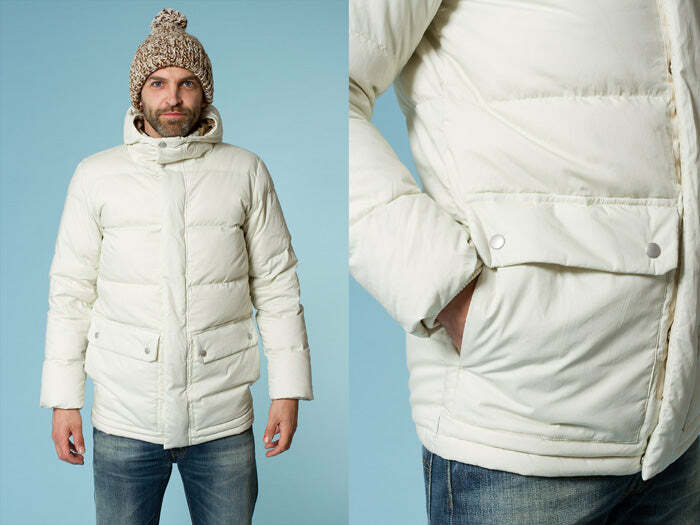 And what mildly cobbled together blog piece about jackets would be complete without a down jacket? Representing the finest insulating technology mother earth has got, not only are these things warm, but they’re toasty too. The one in the picture is made by Norse Projects, but other fine purveyors of down insulation include Patagonia and Fjällräven. And that just about rounds up this instalment of Pica~Picks. Oi Polloi wishes you luck in your hunt for outerwear perfection. Nice jackets collection ,SAINTS ROGAN SHEARLING BOMBER JACKET is one of the best in bomber jackets.